The world’s largest and most extensive criminal justice ministry—located in Northern Virginia, Prison Fellowship International (PFI) is a global association of over 100 national Prison Fellowship organizations. PFI is active in every region of the world with a network of more than 50,000 volunteers worldwide working for the spiritual, moral, social and physical well-being of prisoners, ex-prisoners, their families and victims of crime. TRUE creative services was chosen to assist PFI with the creation of their 2012 Annual Report. 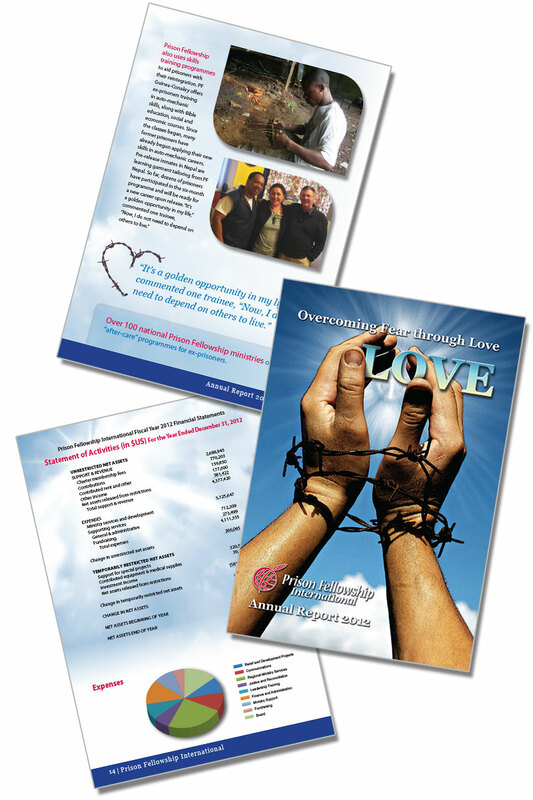 We worked closely with their staff to visually illustrate the theme of “Overcoming Fear Through Love”. We created the design and layout, graphics, visuals, infographics and data charts for the Annual Report.